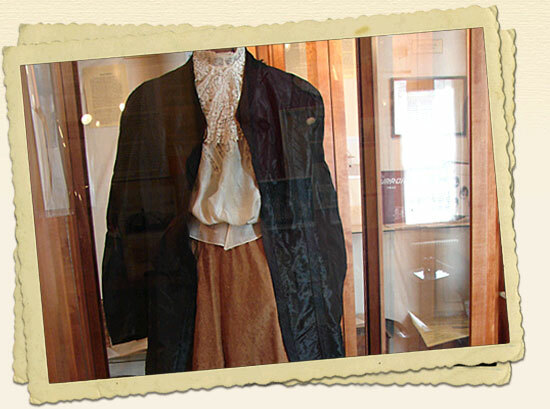 • Hours: Open Monday – Friday, 10 a.m. – 4 p.m.
A visit to Warren Heritage begins in the Ivy Lodge Museum with an exploration of our exhibits. 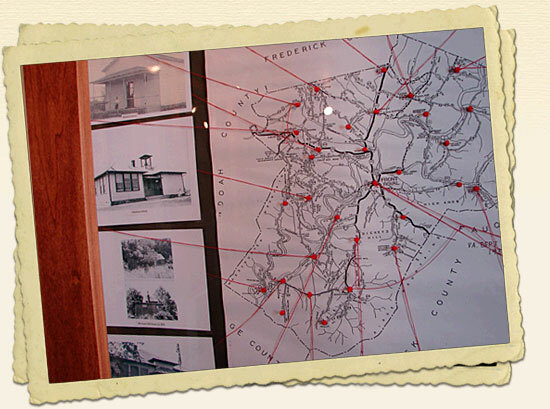 Permanent exhibits focus on the history of Warren County. 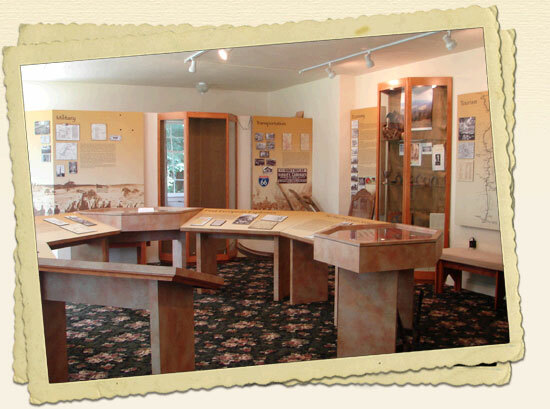 You’ll learn about the valley’s Native American population, the early colonists, agriculture and industry. Rotating exhibits explore in detail important local events and people. Today the Ivy Lodge is the headquarters of the Warren Heritage Society and town and county history museum. 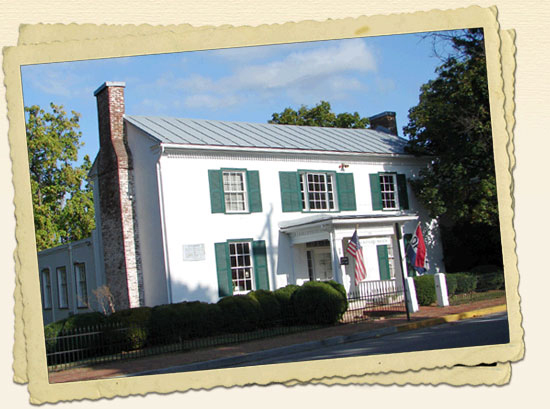 Come enjoy the free exhibits and purchase tickets for historic homes Belle Boyd Cottage and Balthis House and browse books and merchandise in our Gift Shop. Ivy Lodge is unique in the educational annals of Warren County, having been either a school or the home of school officials for most of its existence. The Misses Tensia and Annette Tyler, relatives of President Tyler, moved to Front Royal in antebellum days. They lived at Ivy Lodge where Tensia opened a “most select little day school for small girls” who were taught not only academics, but also “to speak very low and be very delicate in their ways.” At the same time Miss N. Fellows, a splendid teacher at the Front Royal Academy, gave private art lessons to older girls at Ivy Lodge and instructed them in manners and calesthentics. They were taught how to greet guests in the parlor, to draw up chairs for them, and to introduce people. His daughter, Elizabeth Brown Davis, was born at Ivy Lodge, as a girl studied the heavens through a telescope in the middle of Chester Street, and became the greatest woman authority upon astronomical mathematics in the world of her day, being presented to Queen Victoria as such. For 30 years this brilliant scientist made the infinitely minute and complicated computations for the Nautical Almanac, published annually by the U.S. Naval Observatory, and gained international renown through her corrections of French mathematical and astronomical work. Miss Mary Simpson, member of a family noted as teachers, conducted a school for young ladies at Ivy Lodge 1866-1878, leaving her imprint upon a generation of Warren county matrons who recalled her with veneration. Having had two brothers killed in the Confederate Army, Major Robert Simpson and John Simpson of the Warren Rifles, she was the personification of Southern patriotism and in her Ivy Lodge home was organized the Warren Memorial Association which established the beautiful Prospect Hill Cemetery, first public burial ground in Warren County. 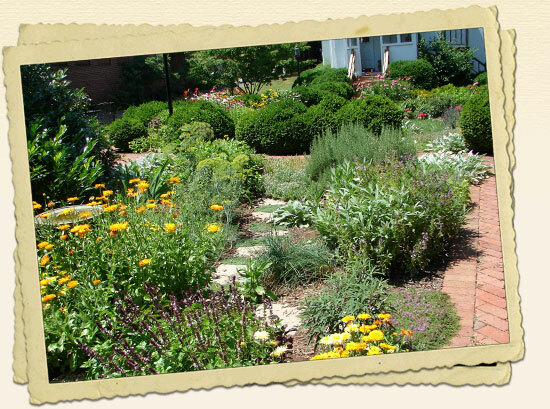 Many meetings and benefits leading to the purchase and development of the cemetery were held at Ivy Lodge during her residency and that of her successor, Mrs. Sallie Davis-Roy.